Fortunally the problem of YouTube videos are solved. But the yellow padlock still there, how can I fix it? Does it say anything when you click on the padlock? 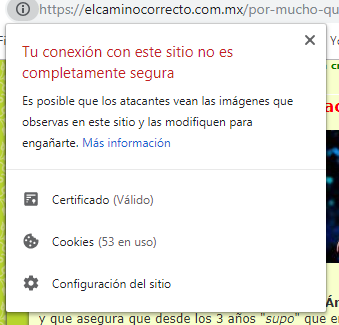 On chrome, it's not yellow, and when I click it - it says "valid certificate". Yes, you're right, the problem is in mozilla, not chrome. 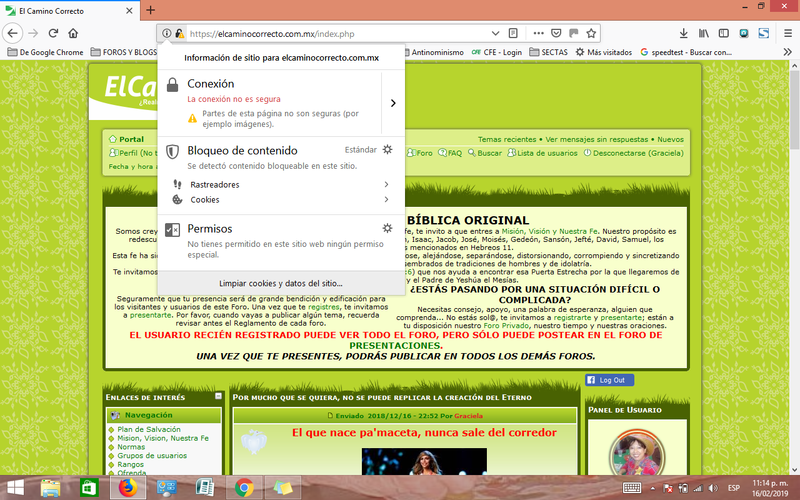 At the forum (https://elcaminocorrecto.com.mx/forum.php) there is no problem, but at the portal (https://elcaminocorrecto.com.mx/index.php) yes, and also at the topics (https://elcaminocorrecto.com.mx/hablemos-del-mensaje-que-los-hombres-de-espana-estan-enviando-al-mundo-vf20-vt125.html), because the smileys. So the problem is also present in Chrome. However, if the HTTPS page you are visiting includes HTTP content, the HTTP part can be read or modified by the attackers, even if the home page uses HTTPS. When an HTTPS page has HTTP content, we call that content "not secure". 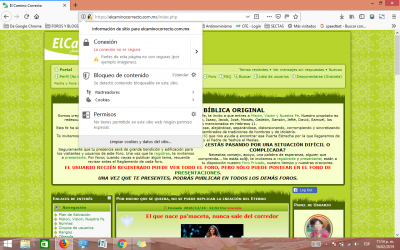 The page you are visiting is only partially encrypted and although it seems to be secure, it is not. Oh, I think I found the issue. It seems some of your member have http:// urls in their avatar. That's what is causing the issue.